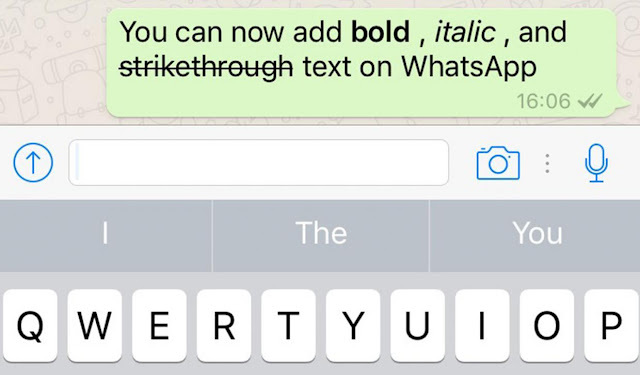 WhatsApp is now allowing its users to add bold, italics and strikethrough text to its instant messages, allowing users to stress their points even more so via the app! You can also combine all of the formats together in your texts, making it look like this. 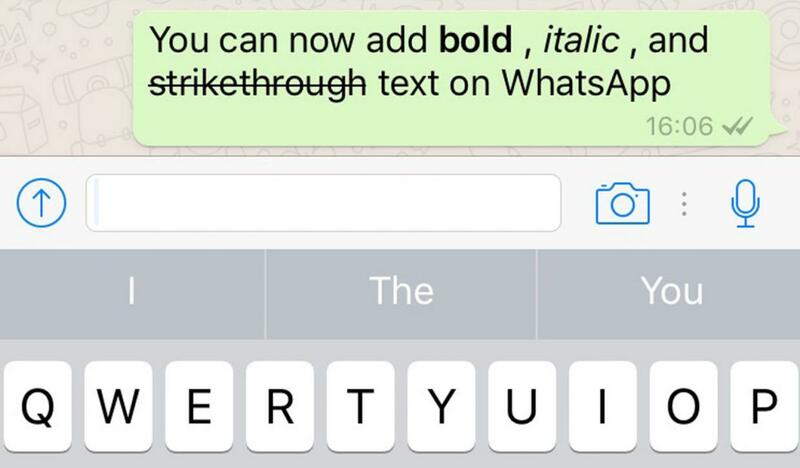 The new feature is now available for both iPhone and Android, but users would need to update their WhatsApp to version 2.12.17 for iOS and 2.12.535 for Android to start using them. 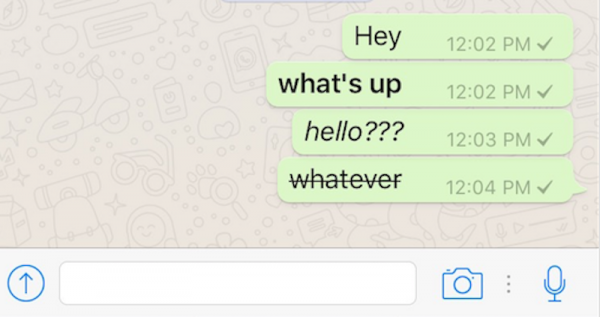 Also, if the receiving end party have not updated their WhatsApp to the latest version, they will not be able to see the new format in their texts.